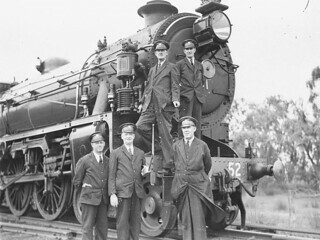 Two 36 class engines were assigned to double-head the Royal train. They were reminiscent of English GWR design and with a tractive effort of over 33,000 lbs each, provided ample power for fast schedules over the steep NSW Railways' lines during the tour. They were painted a royal blue livery.